We understand you’re busy. We also understand your health is a priority to you. 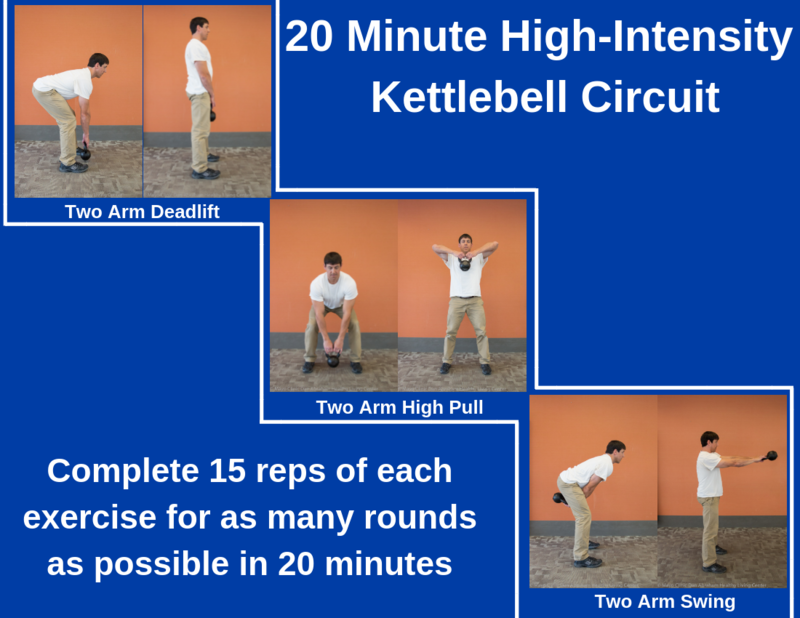 Get in & out of the gym in just 20 minutes with this Kettlebell Circuit Workout! Remember to start with a dynamic warm-up and end with a cool down. Whole grains are part of a healthy eating pattern providing important nutrients including fiber, vitamins, and minerals. As part of a healthy diet, they may help prevent disease, aid in weight management, and improve bowel function. Although many individuals consume grains, often whole grains are not selected. The Dietary Guidelines for Americans recommends consuming at least half of all the grains as whole grains. Include whole grains in your diet by mixing them with other grains; replacing some (or all) of the white rice or pasta in your favorite dish with wild rice or whole wheat pasta. 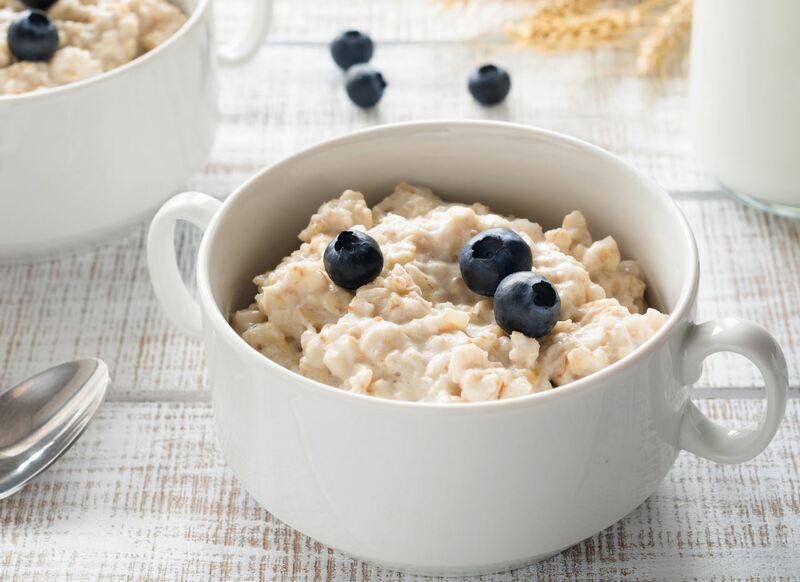 Try this warm oats recipe to add more whole grains to your day! Add grains and water to a pot and bring to a boil, reduce to simmer can cover. Partially cover with a lid, stirring occasionally. This recipe can be made ahead of time and re-heated. Suggest serving with fresh or defrosted frozen berries on top. In a new episode of the “This Mayo Life” podcast, Jessalyn and Tom Finch share their story of the evolution of their relationship from co-workers to being a married couple. Listen as they discuss the benefits, challenges and sometimes awkward moments that occur when dating in the workplace. *For the original article posted on the News Center for Mayo Employees, click here! Mon, Feb 18 11:58am · Whole Grains 101 - Why Are They Healthier? Why are whole grains so important? This is a question that I get asked all of the time. Everyone knows that whole wheat bread is better for you than white bread, but a lot of people don’t understand why that is. Fortunately, it’s not all that complicated. 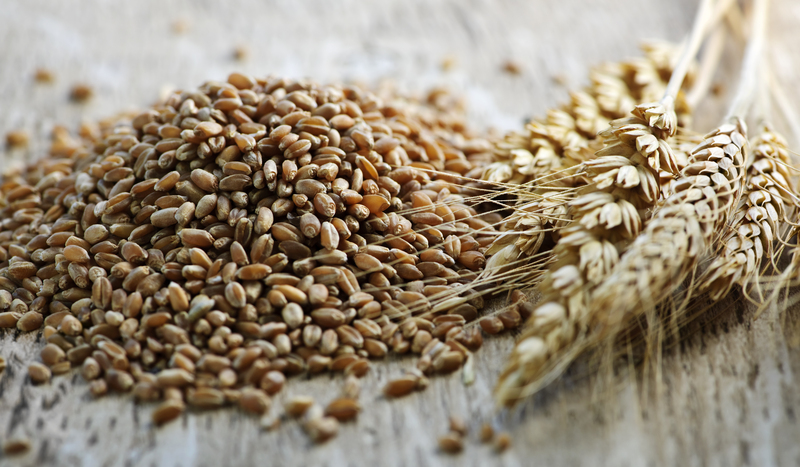 A whole grain is made up of 3 different parts; the bran, the germ and the endosperm. In a refined grain, the bran and the germ have been stripped away from the endosperm; therefore, all of the important nutrients in those portions of the grain are removed. 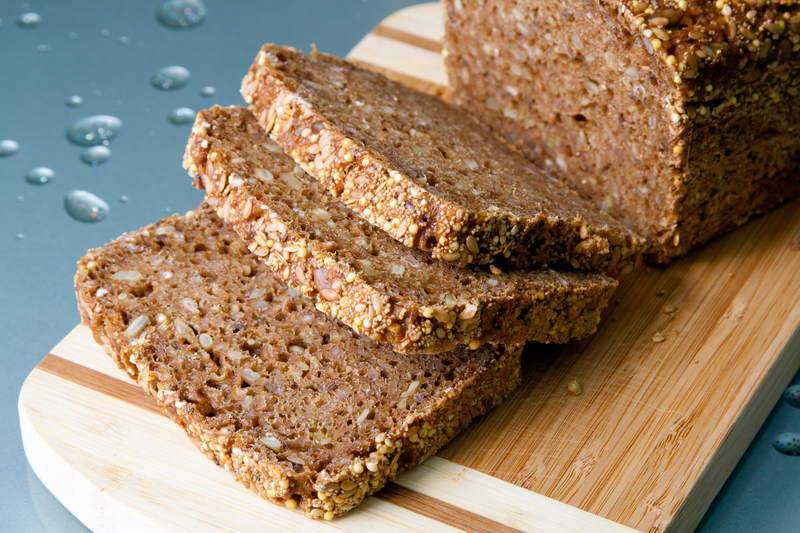 Hence, a whole grain has more nutritive components than a refined grain, and is thus declared a healthier option. Whole grains contain many vital nutrients including fiber. One form of fiber is insoluble fiber, which has been shown to help with digestive and cardiovascular health, and weight management. Wild rice stir fried with bell peppers, mushrooms, water chestnuts, low sodium soy sauce. Whole wheat pasta with a Greek yogurt base cheese sauce. Throw in some spinach and tomatoes to add some color, flavor and nutrition. Whole wheat pita with a lean protein (chicken or fish) and sliced veggies of choice for a quick grab and go meal. Check out our multi grain oatmeal recipe here! How do you enjoy whole grains? Let me know below! 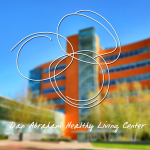 Due to unforeseen connectivity issues, we are no longer able to stream virtual classes for downtown and Generose DAHLC facilities. This would include virtual cycle rides at downtown site and the kiosk at the Generose site. We apologize for any inconvenience this may cause. 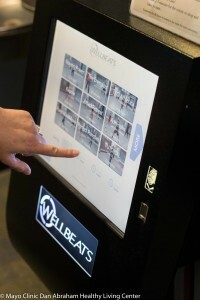 We strive to continue to bring you the best options through our many offerings available to meet your wellness goals. If you have any questions, please contact dahlcgfleads@mayo.edu. Thu, Jan 24 1:39pm · Mmm... Chocolate - It's Good For My Health? Mmm… Chocolate. We all enjoy eating treats and not feeling guilty about it, right? Well, did you know that small amounts of dark chocolate (1-2 squares) may be good for your heart, increase your mood, decrease your blood pressure and help you live longer? 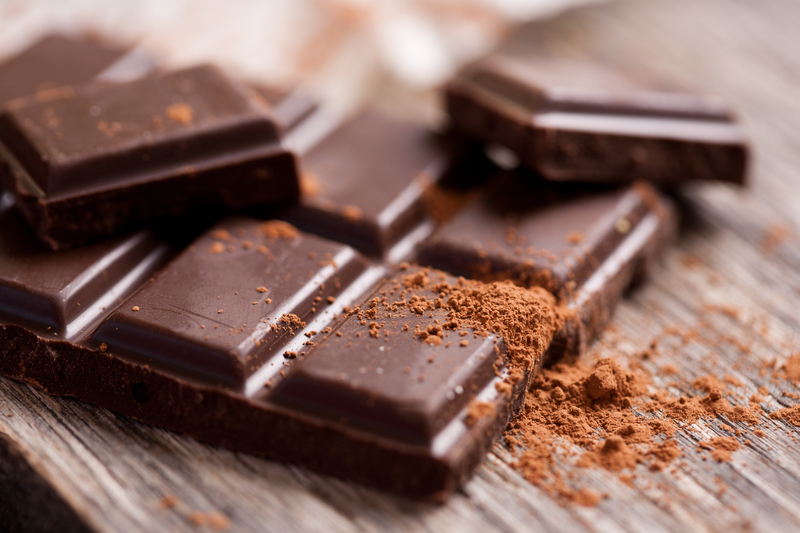 Choose 70% dark chocolate or higher to obtain the most antioxidants. Keep in mind that, as the percentage of cocoa increases, the greater the bitter flavor. Pair dark chocolate or cocoa powder with naturally sweet foods such as fruit. Store in a cool dry area (65-70 degrees). As Valentine’s Day approaches, share a piece of dark chocolate with your significant other and/or friends, and feel good about it! Fortunately for you, chocolate can be a part of a healthy diet. Like any food, the less processed it is, the better it is. In this case, more cocoa and less added fat and sugar allows us to increase our phytonutrient intake without empty calories. Phytonutrients are natural chemicals produced by plants that may help prevent disease and keep our bodies working properly. 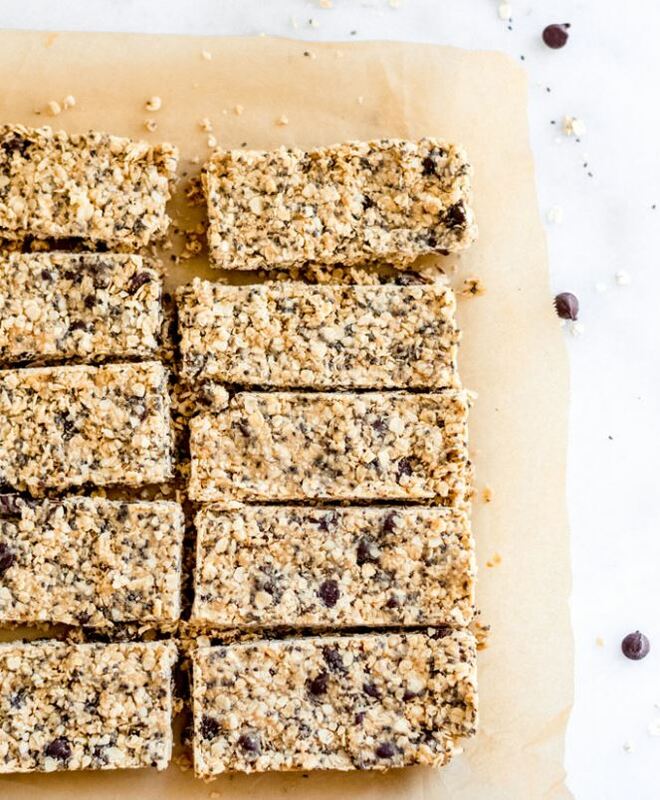 Add a little cocoa to your morning coffee, oatmeal, smoothie, enjoy a small piece of 60-70% dark chocolate, or in this case, try our Multigrain Snack Bar! Preheat oven to 325. Lightly grease an 8×8 baking dish. Using a food processor, pulse 1 cup of oats until it becomes a fine flour. Remove the oat flour to a medium bowl and add the whole wheat flour, salt and baking soda. Whisk to combine thoroughly and set aside. Place the almonds in the food processor and pulse until it becomes a fine meal. Do not allow it to paste up. Remove and set aside. Place the dried fruit in the food processor. Pulse until it becomes finely minced and nearly a paste. Set aside. In another medium size bowl, combine honey and oil and beat to combine. Add the egg and beat until well combined. Beat in the flax meal, almond meal, dried fruit and remaining 1 cup of rolled oats. Gradually beat in the flour mixture. The mixture will become thick so it will take some muscle to mix in the chocolate chips by hand, but you can do it. Transfer the mix into your prepared baking dish. To prevent sticking, use some parchment paper, or lightly greased hands, to level the top of the mixture into the dish. Combine brown sugar and cinnamon and sprinkle over top. Bake at 325 for 25 minutes. Allow to cool before slicing. Join us in the DAHLC demo kitchen this month to learn more ways you can appropriately incorporate chocolate into your diet. Check out our culinary classes here! It’s not how you start, it’s how you finish! 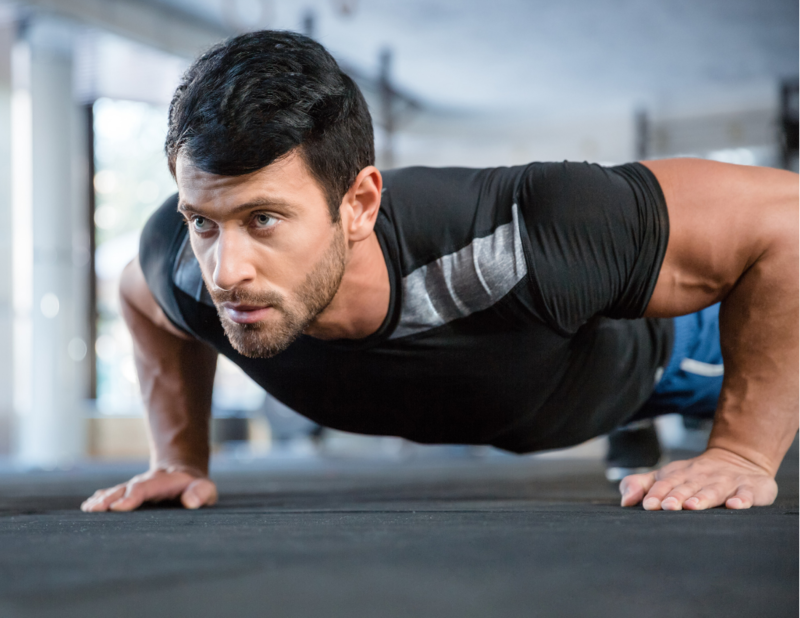 This metabolic finisher will have you literally dropping to the floor (yes, we mean burpees) and challenging your effort in just 2 minutes of work! The plan: complete your regular scheduled workout for the day, and end it with this 2-minute finisher. The goal: Once your 2 minutes are up, sum up the total number of reps completed in 2 minutes and this will give you a baseline to use to beat the next time this finisher is performed. We recommend repeating this finisher once every 2-4 weeks to compete against yourself, push your limits, and continue progressing with your physical activity! This is an example finisher that you’ll find in our new EX4 class, which you can begin registering for January 7th. You can find more information on our EX4 class here!